When the Summer stress has taken it’s toll on your lawn and you’re left with some bare or dead spots – this section is for you. From simple spot seeding to overseeding your entire lawn – Toby shows you the right way to go to get things looking “Tobinized” again! Very Important: Seed ASAP! Especially Fescue! Remember that grass seed must be in contact with bare soil to germinate. Just throwing down a bunch of seed and trying to water it in will not work or lead to uneven germination. Be sure to rake up any dead grass or rent a verticut machine. Verticut machines will remove any thatch or dead grass as well as form grooves in the soil which will keep the grass seed from washing away. DO NOT APPLY MORE SEED THAN THE RECOMMENDED RATE. When lawns are planted too heavy the disease and heat resistance are cancelled and next Summer you will have all kinds of disease and weed issues. Remember this. 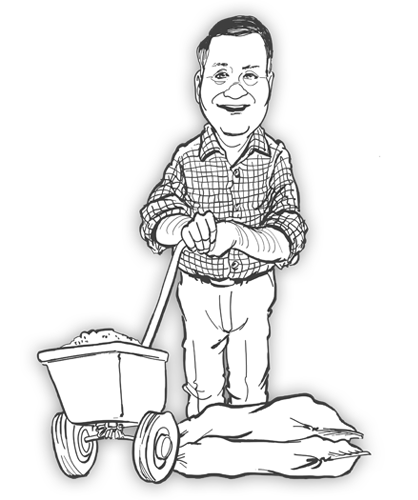 If you seed heavy, you will seed often – not good. Seed planted the last week of August through the second week of September that is watered properly will germinate in 4 to 7 days. Planted after September 15 the seed will take 2 to 3 weeks for germination. Fall Lawn Starter by Hummert is a special formulation of Fertilizer that Toby has developed for the Midwest. 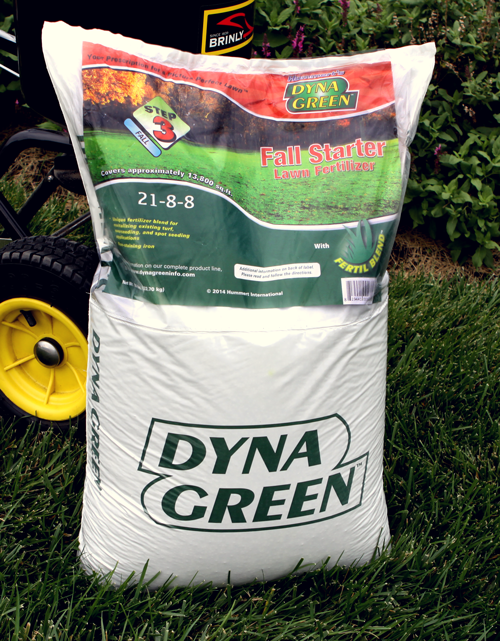 Fall lawn starter contains special nutrients that our lawns need after the heat and stress of Summer to jump start growth in the Fall which will help thicken your lawn, increase root growth and aid in top growth. A three pronged approach to help your lawn start getting healthy again so that it has the nutrients it needs all Winter. 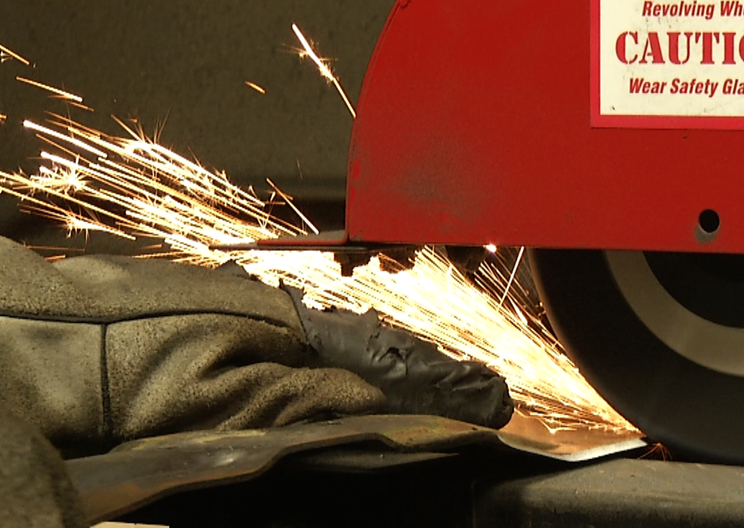 Your mower blade should be sharpened every 10 hours of use. A dull blade shreds the grass instead of cutting it off cleanly. This shredding opens up the blade to disease and is very stressful on the plant. Buy at least one or even two additional blades so you can change them out quickly. Have them sharpened at a reputable repair shop and be sure to have it balanced too. Earth Right is an all natural product that feeds unhealthy soils. 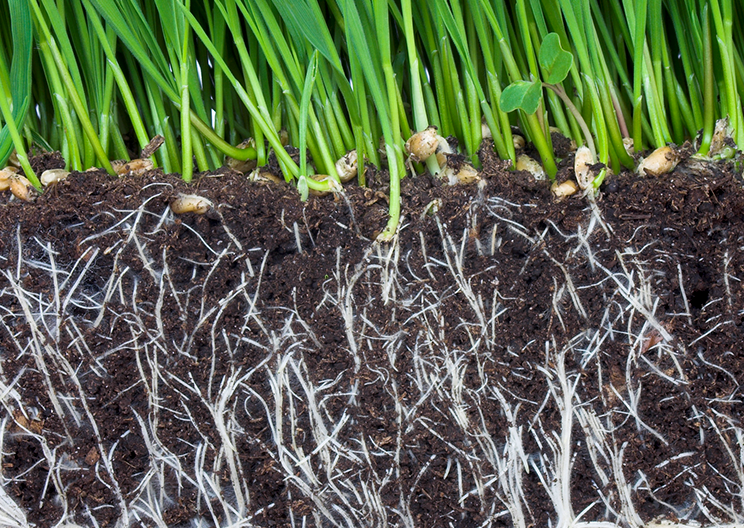 Thick clay or sandy soils do not allow proper drainage and make it difficult for plant roots to grow deeply. Earth Right will turn your soil healthy over time and lead to better drainage, you’ll use less water and grass roots will grow much deeper. Apply Earth Right once in the Spring and once in the Fall.